It has been revealed that Junkie XL is reuniting with director Tim Miller to score Terminator: Dark Fate. The upcoming sequel marks the first time that James Cameron has been involved with the franchise since 1991's Terminator 2: Judgement Day. Cameron is on board as producer, while Miller directs and it will ignore all of the installments post T2, which has been seen as a good thing by many fans of the Terminator franchise. Miller previously collaborated with Junkie XL for the Deadpool score in 2016. "It's great to be working on another project with Tim. The original Terminators were such iconic movies, and having James back as a producer with Tim directing is an amazing dream team. It's going to be a fantastic movie to be part of." Junkie XL is the composer behind the scores of Mad Max: Fury Road, Batman v Superman: Dawn of Justice, The Dark Tower, and Alita: Battle Angel. In addition to being an in-demand composer, he is a multi-instrumentalist, DJ, producer, and engineer. Junkie XL was widely known for his trance productions, but he later moved to producing electronica and big beat music, and then finally moving to scoring. He was arguably best known in pop culture for his 2002 remix of Elvis Presley's "A Little Less Conversation," but his compositions have since taken over. 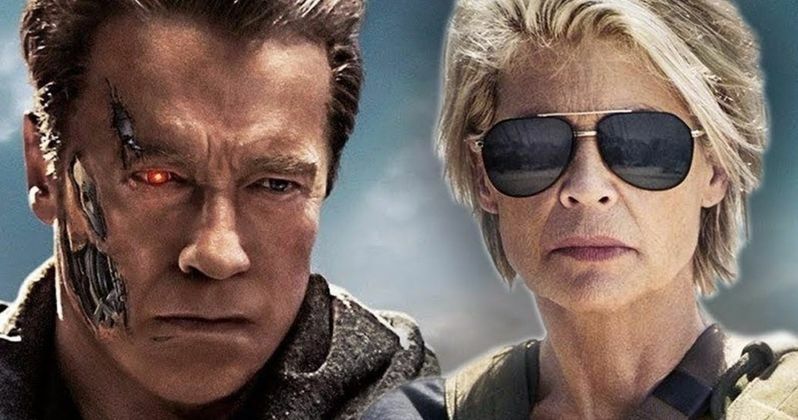 The official title of Terminator 6 was finally revealed earlier this week to be Terminator: Dark Fate. James Cameron had previously revealed the title to be a working title, but that may have been a goof. Cameron seems to have had some trouble with official titles for his projects coming out ahead of time. Just recently, some mysterious titles for the highly anticipated Avatar sequels leaked and the director/producer later confirmed that they were real, but admitted that they might change over time, which probably means that they won't change.